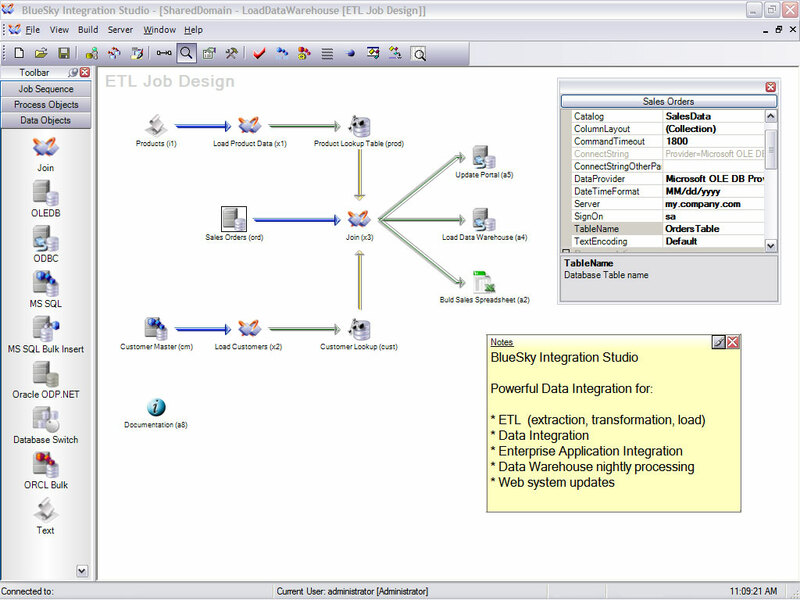 BlueSky Integration Studio is the most powerful and flexible data integration tool on the market today. No other tool offers the ease-of-use, low cost-of-ownership and return on investment that BlueSky Integration Studio offers. Cut your project cost in half and delivery business benefits in 1/3 the time it takes to hand code data integration tasks. It includes ETL processes for data warehousing, ERP migration projects, Customer Data Integration. * New caching technology for even faster load times! * Stored Procedure based updates for MS Sql Server and Oracle for super fast Update or UpdateOrInsertNew functionality. * Support for any data source, as well as low-level support for MS SQL Server, Oracle and Teradata! * Teradata - support for Fastload, Multiload and Stored Procedures. * Ask about the Free development server license! * For data warehousing, B2B, application integration, and any data integration project! * Visually create an entire data flow in minutes! Qweas is providing links to BlueSky Integration Studio 6.5 as a courtesy, and makes no representations regarding BlueSky Integration Studio or any other applications or any information related thereto. Any questions, complaints or claims regarding this application BlueSky Integration Studio 6.5 must be directed to the appropriate software vendor. You may click the publisher link of BlueSky Integration Studio on the top of this page to get more details about the vendor.